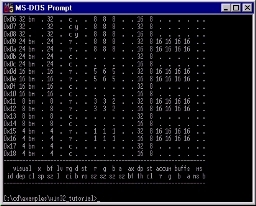 Code Samples released by SGI with the OpenGL 1.1 distribution in 1997. These are very useful for beginning OpenGL coding and learning OpenGL program structure. Advanced rendering and later extensions are not covered in these examples. 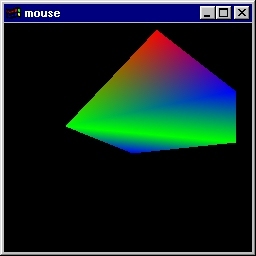 An example of the minimal Win32 & OpenGL program. It only works in 16 bit color modes or higher (since it doesn't create a palette). 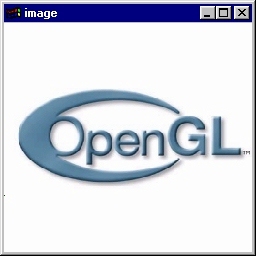 An example of an OpenGL animation loop using the Win32 API. Also demonstrates palette management for both RGB and Color Index modes and general strategies for message handling. 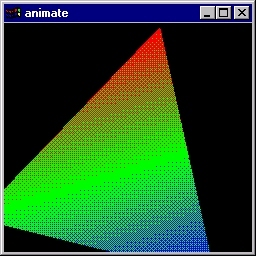 Snapshots: rgb mode (shown), color index mode. 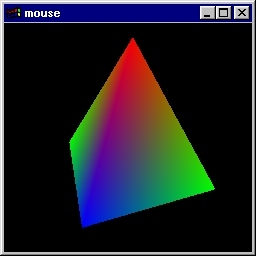 An example of processing mouse events in an OpenGL program using the Win32 API. Snapshots: rotated (shown), rotated + translated + zoomed. 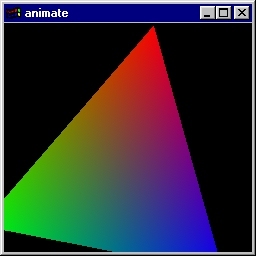 An example of using draw pixels and pixel zoom operations in OpenGL using the Win32 API. 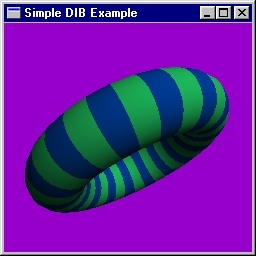 Simple example of rendering to a Windows DIB (Device Independent Bitmap). 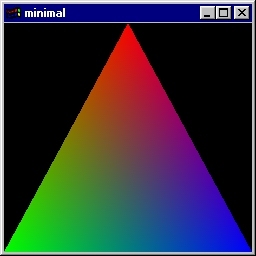 Simple program that enumerates all of the pixel formats available.